Boundary Elements contains the proceedings of the International Conference on Boundary Elements Methods held at Beijing, China on October 14-17, 1986. The conference aims at interchanging the developments of the boundary element method or the boundary integral equation method, as well as the techniques and advances in many engineering, physical, or mechanical field. The various papers presented in the conference are organized in this book into eight parts. Part I talks about engineering in general. Subsequent parts focus on fluid mechanics, thermo-mechanics, solid mechanics, and dynamics. 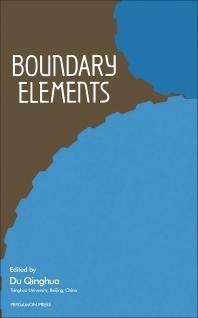 Applications of boundary elements method to shell and plate analyses, as well as to other types of analysis, are also shown in other parts in this book.